Clément Delangue has many reasons to be proud of himself. He worked for eBay at the age of 17, being one of the first professional sellers from France. And after being the co-founder of various startups, including VideoNot.es and UniShared, he is now the chief marketing officer of Mention, one of the top social media marketing tools for businesses. Somewhere among his list of achievements is the fact that he made around $10,000 within just two hours of his first webinar. “There is nothing more powerful, leverageable or exponentially more profitable for you and your business than a well executed webinar strategy,” says Amy Porterfield. She would be the right person to know. When it comes to webinars for businesses, Amy is something of a legend. Webinars can be an extremely powerful tool for businesses looking to market a product or service or even startups wanting to attract audiences and gain visibility. A well-planned webinar is a win-win both for your business and your customers or prospects. It gives you a chance to interact with, and sell to, your customers, while building value for them that no other sales strategy can offer. What’s the first thing about a webinar that draws people in? It’s the topic, of course. Selecting that topic is one of the most crucial steps when it comes to creating webinars. Not only should the title be perfectly worded to appeal to most people, the actual nature of the topic should be such that your prospects and customers cannot resist joining in. If you have no idea where to start with the topic, don’t worry. You can find a topic with the Keyword Planner. The amazing Google tool offers you an array of features that help you gauge the popularity of your keyword and stay on top of what people look for in your niche. The topic you settle on after extensive research through the Keyword Planner must be unique. See what other people are offering and find ways to set yourself apart. If you’re new to the market, the only weapon you have in your arsenal is attracting people by offering what no one does. In marketing, there is no such thing as a stroke of luck. Every successful marketing endeavor is a product of a great deal of thought and planning. Same goes for webinars. If you’re aiming for success with your webinars, you need to have a well-designed strategy. Before you start, ask yourself this question… Why exactly do you want this webinar anyway? Webinars can be used for various purposes and each one demands a different strategy. So determining why you want to do it is the first step towards a successful strategy. You may want to attract new leads or strengthen your relationship with your new customers. You may want to launch a new product or service or simply establish yourself as an expert in your niche. Whatever your purpose may be, you need to discover that first. This is an amazing idea if you are just starting off your business venture and want to attract new leads. So what if you don’t have a product yet. You have the skills and knowledge to educate people, right? Why not use those skills to create hype around your upcoming product and get people excited? 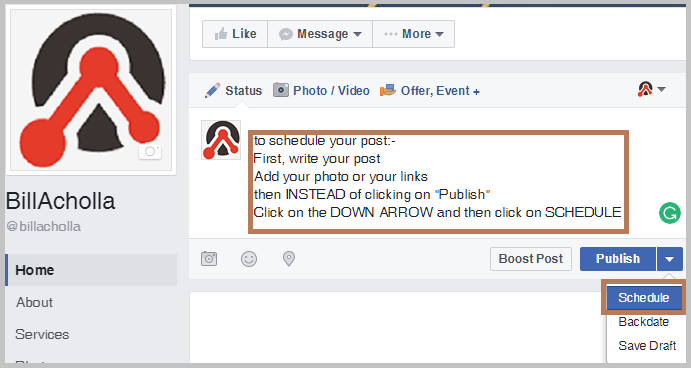 You can also use the webinar to build your Facebook business page. 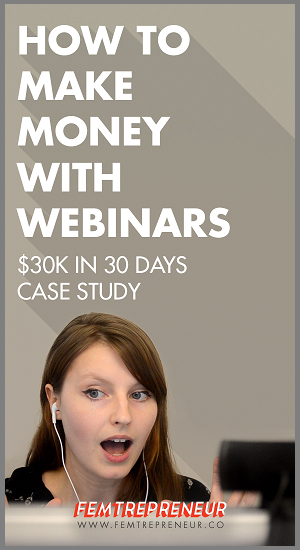 And, of course, a couple of thousand bucks that you can make with the webinar itself can’t hurt either. That’s what Mariah Coz did. She offered webinars 30 days before the product was released. Not only was she successful in advertising her product, she also managed to earn around $30,000 dollars through the webinars in those 30 days. Not a bad deal. Do a webinar: See how many people register, gauge interest, pitch your product concept. Listen to their questions about your topic. Pre-sell your product: Make money while you build it. More webinars. Listen to your audience: Get feedback, build what they ask for. Launch to your engaged, raving audience: Make sales. Even if your webinar marketing strategy is a success and you’re able to get a good number of people to show up, you can’t hold them in place or keep them coming back for more without great content. The content of your webinar must be fresh and exciting. No one likes boring snooze-fests. It must offer useful information instead of being too salesy. No one paid good money to hear you advertise your products. And, finally, it must be engaging. The goal of your webinar is to interact with prospects and customers. If you can’t get them to do that, it’s a wasted opportunity. Other considerations are equally important. One of those is the time. The webinar should not be so brief that people feel cheated. Nor should it be so long that it’s boring. The perfect duration for a webinar is somewhere around 45 minutes. Make sure to leave plenty of room for a Q&A session. The Google+ Hangouts On Air is a dream-come-true for those of you who want a free and flexible platform to host webinars. It offers a remarkable number of features that allow you to conduct meetings, organize workshops, and present them online. The only thing you can’t do through a Hangout session is charge people. You can also customize your webinar by creating trailers and apps. 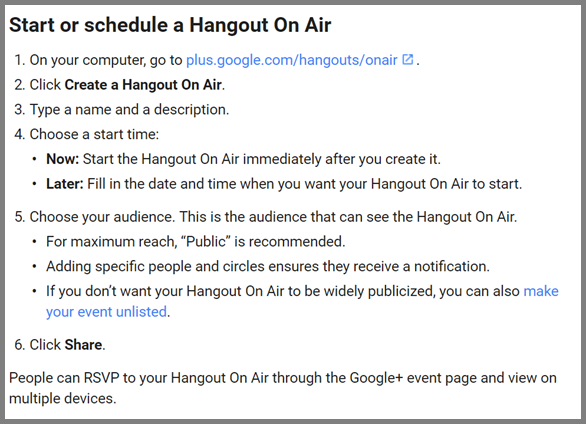 Google+ not just allows you to broadcast the webinar through the Hangouts platform, but also live stream it on YouTube simultaneously or publish it there later. Promoting your webinar is as important as, if not more than, creating it. After all it is this step which will get you your customers and enable you to pocket the revenue. The success and failure of your webinar depends upon how well you’re able to promote it. This is why you need to find some of the best and smartest ways to reach prospects. You need to rely on a combination of the tried and tested strategies, an amalgamation of social media, email marketing, and the good old advertising. When it comes to marketing your webinar through social media, you need to get organized. Create a social media content calendar and schedule regular posts so that your audiences are periodically reminded about the upcoming event. If you want to reach the widest possible audience, you should use a combination of various social media channels like Facebook, Twitter, Snapchat, Instagram, and others. With the right amount of planning and effort, anyone can be as successful, in igniting their business through webinars, as Clément Delangue, Mariah Coz, or even Amy Porterfield. Following these few simple steps can elevate your webinar marketing strategy to a whole new level. So go out there and conquer the world! Guest Author: Bill Achola is a content marketing consultant specializing in content. You can hire him to help you write the right content that can help you generates traffic and revenue back to your business. He has been featured in top publications like Huffpost, Problogger and etc. The post 6 Ways to Create Killer Webinars That Will Ignite Your Business appeared first on Jeffbullas’s Blog.